My infrared camera detects shoddy installation of cellulose insulation in this concealed wall cavity above the door. The builder disclosed that all the walls (in this rehabilitated home) were fully insulated. Not according to my infrared camera. Excessive ice damming was occuring at the roof edge outside this dormer wall. Infrared detects missing insulation behind this plaster wall. This hallway wall looks great until my infrared camera detects an excessive void in the insulation application. Someone failed to insulate an entire rafter cavity. I have had MassSave energy audits at my house in the past, but for some reason, there were still a few droughts that couldn't be identified. I am a real estate broker and have come to know the excellence and professionalism that Dave Valley brings to home inspections. When I learned that Dave also does thermal imaging audits, I thought that it would be a really good idea to hire him to do an infrared thermal imaging inspection. The findings from the thermal imaging inspection and the report that Dave created allowed me to see exactly what areas did not have insulation and this has enabled me to start tackling the remaining droughts in the house. The major location where there was no insulation was on the flat roof above my roughly 400 square foot kitchen. All heat would just disappear through the flat roof above the kitchen. It was quite revealing and I never would have had this level of insight through thermal eyes without hiring Dave to do a thermal inspection with his infrared camera. Granted, it was difficult to follow up on Dave's recommendation "just rip out the kitchen ceiling and spray foam the entire roof and ridge line." I thought "ok, sure .. ugh!". I tackled this project though and thoroughly spray foamed the entire kitchen roof. The difference is incredibly measurable. Now, to tackle several of the other locations identified in Dave's thermal imaging report. 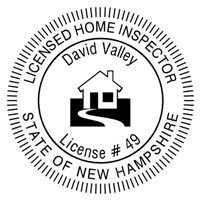 I highly recommend to hire Dave Valley to do a thermal imaging inspection and report for your home "prior" to doing an MassSave energy audit. The imaging report will help you immensely in pointing out your insulation needs and keeping the heat inside in winter and the cool inside in summer.